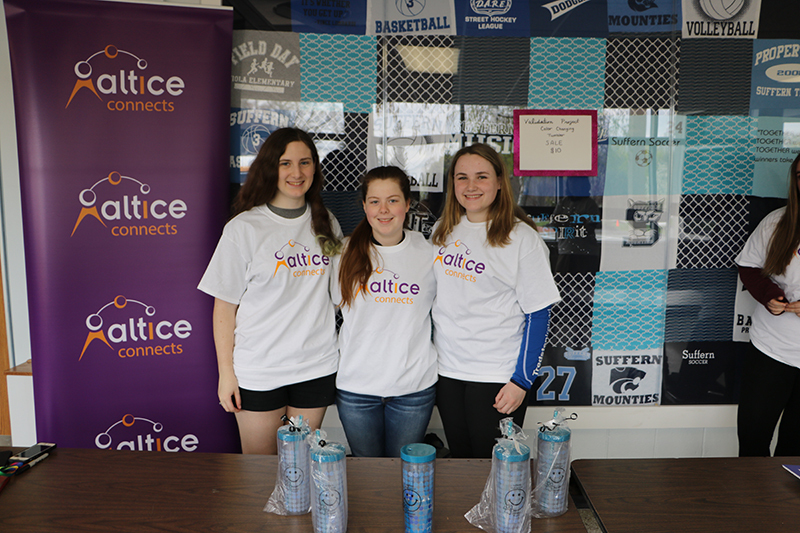 Students in Suffern High School’s “Validation Project” Club held a fundraising event during their lunch period, selling tumbler cups to raise money and awareness for The Validation Project, an organization started by a local community member. The students created the design on the cups with the hopes to spread awareness of the organization and to spread the mission of promoting kindness and acceptance. This fundraiser was one of many that were held this year to benefit the Validation Project.